Elon Musk’s Starman, the mannequin driver of the Tesla Roadster SpaceX launched aboard its Falcon Heavy rocket, is taking a trip around our solar system, in a large elliptical orbit that will bring him relatively close to Mars, the Sun and other heavenly bodies. But how to track the trip, now that the Roadster’s onboard batteries are out of juice and no longer transmitting live footage? Thanks to the work of Ben Pearson, a SpaceX fan and electrical engineer working in the aerospace industry, who created ‘Where is Roadster,’ a website that makes use of JPL Horizons data to track the progress of the Roadster and Starman through space, and to predict its path and let you know when it’ll come close to meeting up with various planets and the Sun. 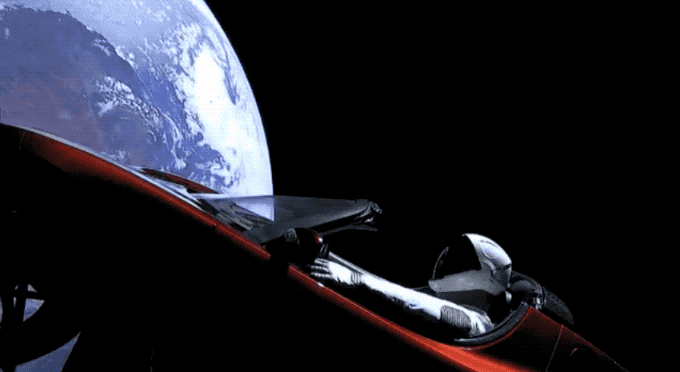 The website tells you the Roadster’s current position, too, as well as its speed and whether it’s moving towards or away from Earth and Mars at any given moment. It’s not officially affiliated with SpaceX or Tesla, but it is something Elon Musk is apparently using to help remember where he parked his galactic ride. At least he can stop freaking out about leaving it onboard the Heavy just before launch.